Jaw Pain? Find Relief With TMJ Treatment From Your Dentist! Most people don’t give their temporomandibular joint (TMJ) a second thought – until there’s a problem! Unfortunately, it’s easy for jaw pain to develop because the TMJ is the most complicated joint in the body. For starters, it’s the only joint that’s bilateral, so the right and left sides have to work together in perfect harmony for everything to function properly. Not to mention that the TMJ also moves in 2 ways (hinging and sliding), whereas most joints in the body only move 1 way. That means that it’s fairly easy for jaw pain to develop if anything is off-track. But, the good news is that a dentist can provide non-surgical TMJ treatment that’s incredibly effective for treating this common condition. Keep reading to learn more! What Are the Signs of TMJ Problems? Since all of the muscles in the head and neck are interconnected, tension in one area can spread to the surrounding areas. Also, you may have muscle tension around the jaws from clenching or grinding at night, which is a common cause of jaw pain. What Kinds of TMJ Treatment Are Available? Botox – You might be surprised to learn that a dentist can use Botox to treat TMJ pain, but it’s actually very effective at relaxing the muscles that cause jaw tension. In addition, the results last anywhere from 6 to 18 months. Nightguard – A nightguard can not only protect your teeth from the effects of clenching and grinding, it can also reposition your lower jaw to help the joint function normally. Relaxation techniques – In many cases, massage and other relaxation techniques can be used in conjunction with other treatments to provide an even greater reduction in symptoms. 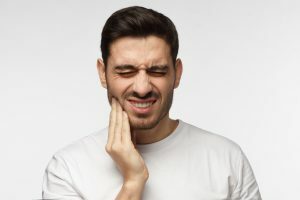 If you’re experiencing any jaw pain or problems, it’s a good idea to schedule an appointment with a dentist who provides non-surgical treatment options like these. In just 1-2 dental appointments, you can get relief from jaw pain and get your quality of life back! Dr. Patti Bradley is a general, cosmetic and restorative dentist who understands how much TMJ disorder affect her patients’ lives. She always thoroughly evaluates each patient so she can determine the cause of their jaw pain and recommend the best treatment for them. If you’re experiencing any jaw discomfort and want to know more about your treatment options, she can be reached via her website or at (706) 453-1333.